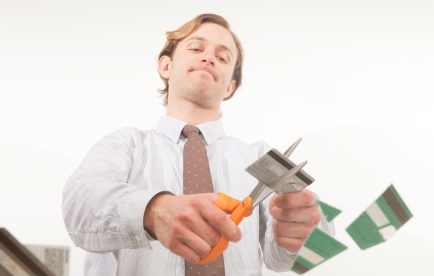 For those who are trapped in debt, debt reduction services may be their best option. While these services are anything but the first course of action people in debt should take, they are they are better than the alternatives in some cases. 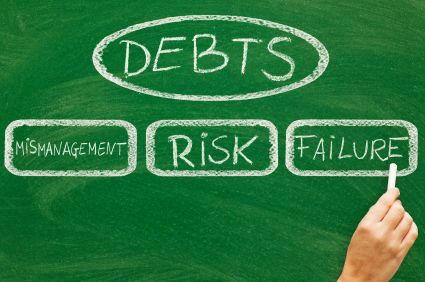 Basically, debt reduction services will negotiate with creditors on the behalf of debtors to get their debts reduced. They can often get creditors to agree to reduce the debt owed by 20% to 80%. However, how high or low the final settlement offer is will depend on a lot of factors to include the policies of the creditor, the financial condition of the debtor and the skills of the debt reduction service being utilized.Once the amount to be repaid is agreed upon, the debtor will make a lump sum payment or, in some situations, a series of payments covering a few months to several years. In return, the debt reduction services will take a percentage of either the payment or the amount the debt was reduced. Debt reduction services should not be confused with debt consolidation companies. These companies work primarily to reduce the amount of interest and other fees paid. By combining everything into one single loan, the debt can be simplified, and lower interest rates can be secured. This loan will require some type of collateral or a consigner. Generally, using these services is best thought of as an alternative to bankruptcy. Going through the process will destroy one’s credit rating. Those considering it need to be sure they have exhausted all better options. Although creditors will have to write off money that is owed to them, they do agree to the offers from debt reduction services for several reasons. If they think the debtor is going to go bankrupt, they may see getting anything as better than nothing. Therefore, those debtors in the most serious condition will often get the biggest reductions. It is also a way for creditors to avoid costly court cases. In addition, it can save them in collection costs such as those that must be paid to collection agencies for their services. In some cases, debtors can contact credit card companies and others they owe money to themselves and try to negotiate with them directly. This is most likely to be a viable option when the number of creditors is limited. A good debt reduction service will offer counseling and education in debt management. They are most often used by people nearing bankruptcy who cannot go through extended repayment plans. Since the debt reduction services have lots of experience with creditors and know their policies. They should hold the knowledge and background to get the best settlements for their clients. In addition, they will not charge anything for a consultation so it does not hurt to ask. There are a lot of debt reduction services out there that do not do a good job, so people considering using them need to be wary. Remember that even a shady company can make a slick looking homepage. For something this important, it is best to check with a Better Business Bureau or other consumer protection agency before deciding on any company and make sure the company offers full disclosure. It is also a good idea to do further research to include online reviews and other evaluations of their services.